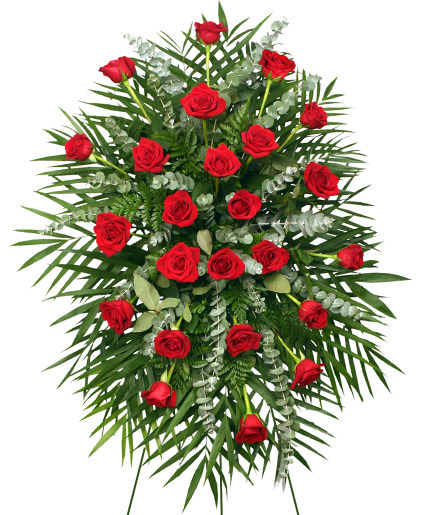 RED ROSES STANDING SPRAY of Funeral Flowers in Braintree, MA - BARRY'S FLOWER SHOP INC.
Classic, fresh-cut red roses with accents of eucalyptus and other fresh foliage are featured in this beautifully-traditional spray. 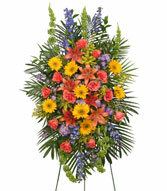 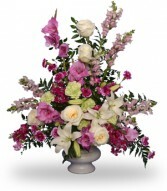 Let BARRY'S FLOWER SHOP INC. deliver a lovely floral expression of sympathy and reverence for you. 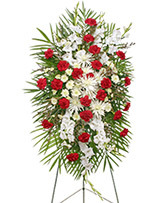 At BARRY'S FLOWER SHOP INC., we design and deliver funeral flowers that beautifully convey your expressions of sympathy and serve as a lovely memorial to the deceased.